Clear Stand Up Pouches — Sealer Sales, Inc. Stand up Pouches have become the ideal flexible packaging medium for both large and small businesses alike. Stand up pouches elegantly maximize shelf space over traditional packaging such as boxes and cartons and since the pouches are shipped flat before filling, they also minimize costs of freight and warehousing. 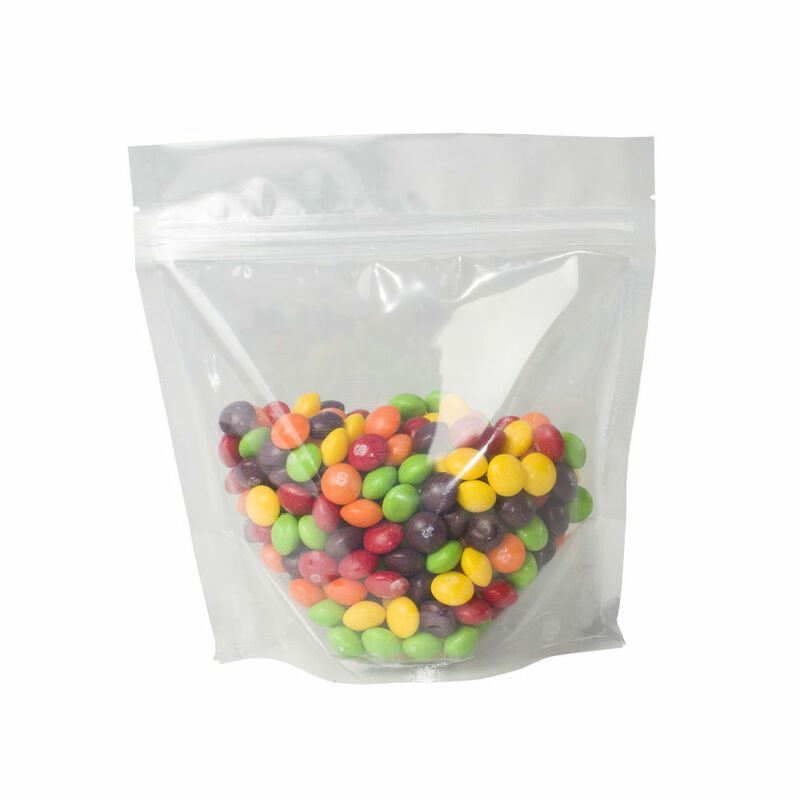 Stand up pouches are best suited for packing dry goods such as cookies, nuts, candies, etc. Our clear stand up pouches feature a zip lock and tear notch. Our bags are also packaged in 250 or 500pcs/case allowing smaller scale packaging (most distributors sell minimum quantities of 1,000pcs.) Pouches meet FDA regulations for food use.